The 26th Zwakala Festival has been given a new lease on life with a vision that will reach out to more artists and audiences. The revamped Zwakala Festival is also more attractive to its funders, the Department of Arts & Culture, with whose support through the Arts Incubator Programme the Festival is being relaunched in an exciting new format. 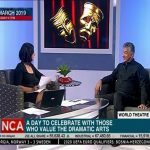 Over more than two decades the Market Theatre Foundation’s Zwakala Festival has through a strategic community theatre development programme discovered and groomed young artists from under-developed and under-resourced communities. 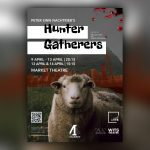 “The Zwakala Festival is known for unearthing and refining creative gems from the community theatre sector and for propelling these productions to platforms where they earn both recognition and acclaimed awards”, says Zama Buthelezi, the Market Theatre Foundation’s Brand & Communications Manager. From past 2017 Zwakala Festival Isithunzi went on to scoop the Best Production Award at the 2017 National Arts Incubator Trade Fair. Dikakapa (2018) and Tau (2016) won the the Standard Bank Ovation Awards at the National Arts Festival Makhanda (formerly Grahamstown). The pioneering Zwakala Festival which pioneered a template for several other community festivals across the country. 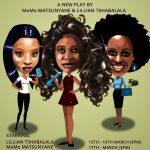 “Community theatre festivals are a creative barometer of the social, political and economic tensions in South Africa. The productions reflect and mirror what is happening in the South African communities. 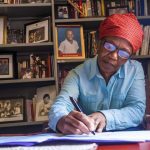 It brings to the surface what young people are grappling with in their communities and in their daily lives”, adds Zama Buthelezi. This year the Zwakala Festival will introduce an exciting innovation with the appointment of a Resident Festival Director who will develop and strengthen the scripts, intensify the fieldwork programme and offer intensive guidance regarding the directing and staging of the shortlisted productions. 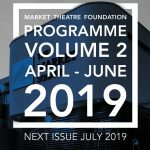 “The Market Theatre Foundation is delighted to announce the appointment of Themba Mkhoma as the inaugural Resident Festival Director. This is a challenging role but the Market Theatre Foundation is confident that with his vast skills and knowledge the Zwakala Festival will be elevated to become a dynamic celebration of the work by emerging theatre practitioners”, added Zama Buthelezi. Themba holds a Master’s Degree in Drama Therapy, an Honors Degree in Applied Drama and a Higher Diploma in Education, Training and Development. He is the first black male in Africa to train as a Drama Therapist. Mkhoma is also a writer, theatre and film director who specializes in Drama Therapeutic Reflective Practice which is the art of using drama processes to interrogate or to create dialogue about any professional practice. 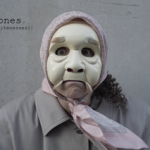 As a Performing Arts Development Practitioner his processes include Soft Skills Training for artists. 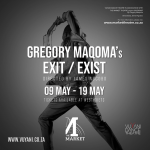 Themba has worked as a Fieldworker for the Market Theatre Laboratory for more than ten years. 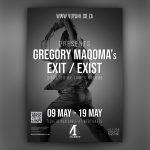 From June 2017 to date he has also been an associate lecturer at Drama For Life, a unit at the University of the Witwatersrand that brings together the disciplines of Applied Drama and Theatre within the context of a critical reflexive praxis. The revamped Zwakala Festival will kick off with a series of development phases commencing this month. The full festival will take place during 3 –5 October when eight productions will go through intensive workshops and four productions will be presented over five days. The changes to the Zwakala Festival will allow for new mentees to interact with professional counterparts in an enabling environment that will nurture and systematically develop their productions. The Zwakala Festival is made possible by the Department of Arts and Culture’s Incubation Programme which support a national strategy aimed at boosting the level of fresh young talent in the theatre industry and to bring about more local content on South African stages. Applications for the 2018 Zwakala Festival are now open. Correspondence for booking showcase performances and further logistical enquiries about the Festival can be emailed to the Festival Coordinator, Sipho Mwale at siphom@markettheatre.co.za.